The jury is out as to whether Katie Taylor is blazing a trail for women's professional boxing or simply paving her own path to personal global dominance. Truth be told, it's a rather redundant argument either way. Boxing is, first and foremost, and individualist endeavour, and Taylor's legacy as a groundbreaking amateur will forever precede her. Frankly speaking, it's not her moral obligation to raise all boats as she progresses as a professional. The Irish boxing icon is fighting for herself, and any benefit to her new craft will likely manifest itself as a positive byproduct as opposed to a concerted achievement. What can't be taken away from the 30-year-old, however, is how she reshaped the very notion of women lacing up gloves and throwing down - in this country, at least. In her wake a new amateur generation has risen, with a couple of Irish women having already entered the pro ranks long in advance of Taylor's transition late last year. 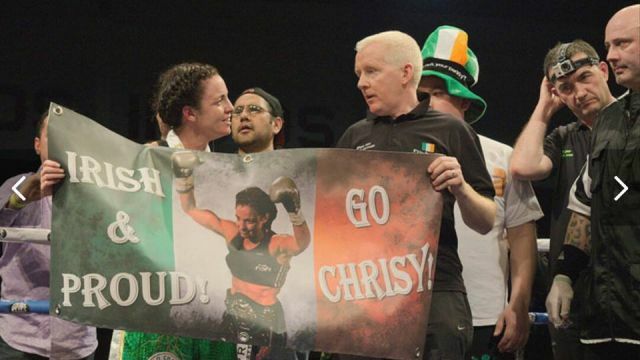 Such is her magnitude as an Irish sports star, Taylor will always remain a flag-bearer of sorts, but there are plenty of other Irish female boxers who warrant significant acclaim and attention. 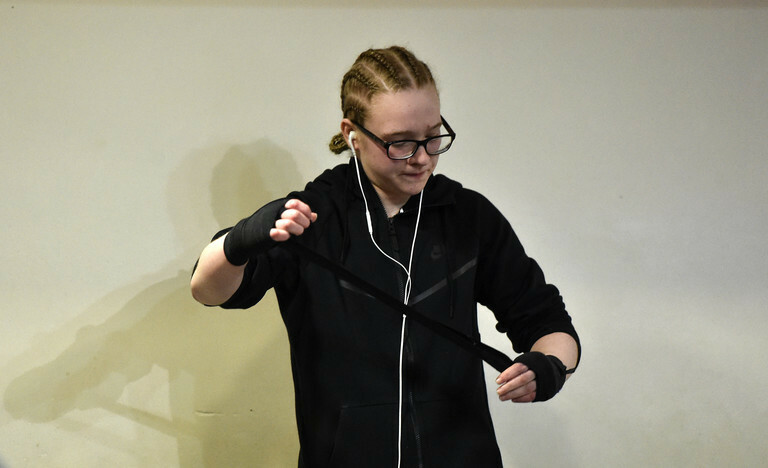 Here are six more of our finest female pugilists, beginning with our other two pro women's boxers. You may recall seeing The Hunter's last contest on this very website; Kilbarrack light-flyweight Harvey threw down in a compelling contest with Romanian Sara Regina Coca at Dublin's National Stadium as part of Red Corner's hugely entertaining 'Unfinished Business' card, which also featured victories for Eric Donovan and Luke Keeler amongst others. Coca made a decent scrap of it, but was disqualified in the third round for - of all things - kicking Harvey in the midriff, much to the disgust of the home fighter's extremely vocal fans. The disqualification victory moved the Tommy McCormack-trained Harvey to 3-1 (2KOs), her sole reversal coming last year when the far larger Mary Romero - a former opponent of Katie Taylor's - beat a ring-rusty Harvey on points in a war at the National Stadium. 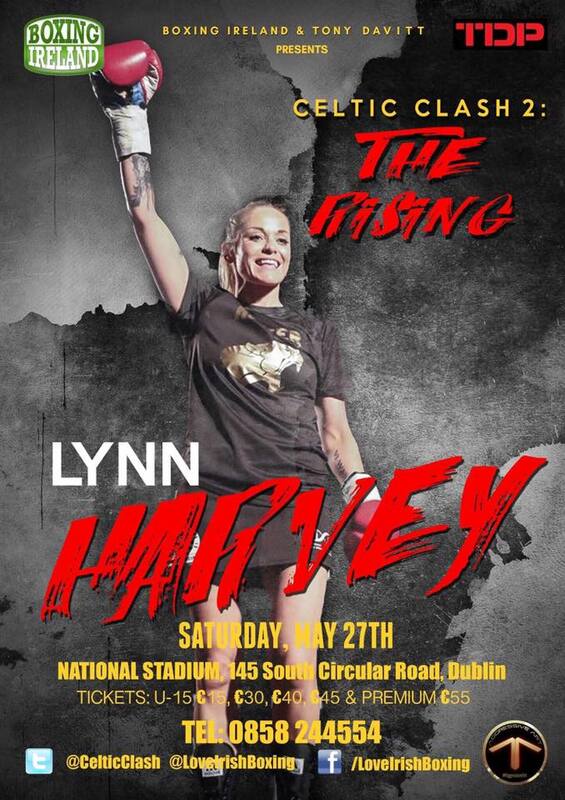 If you haven't seen Harvey box, you should; she returns on Boxing Ireland's talent-stacked Celtic Clash 2: The Rising card on May 27th. Of course, you might be more familiar with The Hunter than you think: The reaction to her knockout performance on a recent episode of First Dates Ireland can be found at Irish-boxing.com. Though she'd likely tell you herself that her greatest accolade was finishing second to Annalise Murphy in the Balls Woman of the Year awards, Monaghan's McMahon has made quite the extraordinary impact on her sport during a relatively short pro career. As Ireland's only female professional boxer until the aforementioned Harvey turned pro in 2015, Lightning won the interim WBC World bantamweight title in, of all places, Zambia, dethroning undefeated Zambian Catherine Phiri in front of a tv audience of over 30 million people. She then went to New York at her own expense to take on American super-bantamweight champion Alicia Ashley, a full two weights above her own natural super-flyweight. Pre-fight skulduggery which included unusual, intrusive medical exams on the eve of the contest hampered McMahon in Brooklyn, and she dropped a decision to heavy favourite Ashley in what would transpire to be controversial circumstances. Five months later, with a record of 7-1, McMahon travelled to Juarez, Mexico - once the world's most dangerous city - to face WBC super-flyweight queen Zulina Munoz [45-1-2]. Again a distinct underdog, McMahon outboxed Munoz in a close but conclusive contest, only to be pilfered by the hometown judges. Further controversy was to take place during the anti-doping procedures, or indeed lack thereof, which followed the fight. The extraordinary tale, which involved holes in the testing cups and culminated in McMahon being suspended by the WBC via Facebook chat, is relayed here. Since Mexico, McMahon has endured a number of torturous setbacks, with a home world title fight - and a first ever female world title fight on Irish soil - being cancelled late last year. There are, however, grand plans in the pipeline. The next leg of one of Irish sport's most enthralling tales will be announced soon. 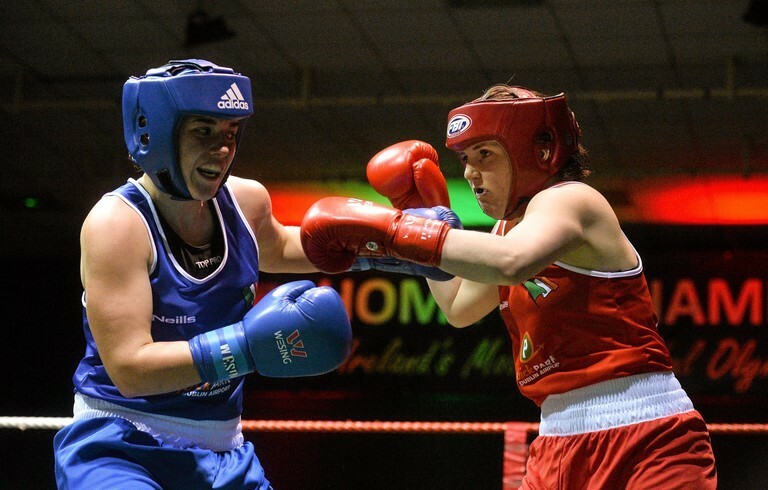 Despite being ranked world no.2 at 64kg, Harrington has already become Irish champion at 60kg, with Taylor having turned professional and the 64kg division not currently part of the Olympic women's boxing programme. The Dubliner, who grew up beneath the shadow of Croke Park, beat Clonmel's Shauna O'Keeffe in this year's National Elite final, stopped at Five Guys for a burger on her way home, and got ready for work at St Vincent’s Psychiatric Hospital in Fairview the following morning. Last May, Harrington made history as the fifth Irish boxer ever to reach a world final (after Taylor, Jason Quigley, Joe Ward and Michael Conlan), going on to claim silver at the Worlds in Astana. In all, the seven-time Irish champion won four of her five bouts before a narrow defeat to World no.1 Weniu Yang of China. The Glasnevin lightweight is somewhat renowned as a straight-talker, her no-nonsense assessments of Irish teammates at Rio endearing her to the viewing public. At the moment I work part-time. I work every second weekend in St Vincent’s Hospital in Fairview and as well as that I’m on social welfare. That’s what I have to do. I've already asked one of the people in the IABA 'Whats the story with the grant?' and was told more than likely I won’t get it 'til March next year, if I get it. I don't even know if I’m going to get a grant. Why do I have to wait until March? I could bring back another medal in November so why are there so many things getting in my way? She also labelled the decision to include just three women's divisions at the Olympics "sexist." 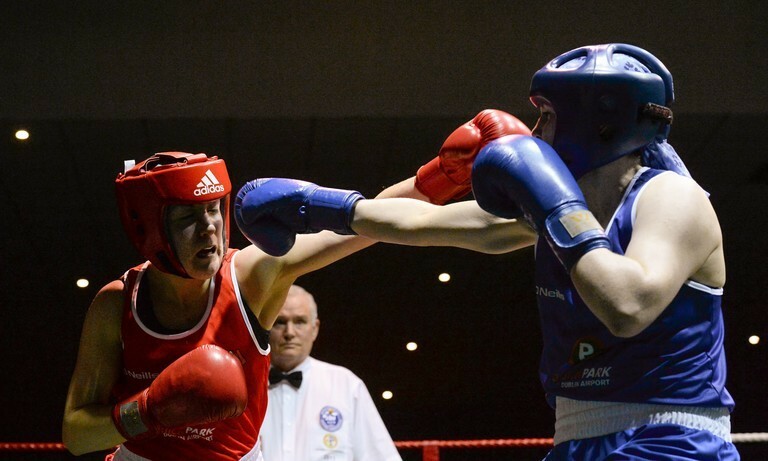 Already a European and World Universities bronze medalist, Macroom's Desmond is perhaps the leading light in Cork's recent boxing resurgence. Her twin brother Michael is a former underage amateur champion, but 'Tina' has already exceeded expectation at senior level, shocking Nouchka Fontijn (eventual Olympic silver medallist) at the Rio qualifiers last year before winning bronze at the World Universities championship in Thailand. She wasn't finished there, however; in November, the Fr Horgan’s middleweight became just the third Irish woman to win a medal at the European Championships after Katie Taylor and Claire Grace, picking up bronze in Bulgaria at the age of just 20 - only a year after turning senior. Only a controversial split decision defeat to Frenchwoman Maily Nicar denied Desmond further honours in Sofia, but should she continue on her current trajectory, the next few years could well see Desmond, along with some of her teammates, fill the void left by Taylor. In 2012, while still in school, Coláiste Rís (formerly Dundalk CBS) received a special visitor in the form of Katie Taylor. Then Olympic champion, Taylor popped in to congratulate Dealgan BC’s Amy Broadhurst who just days earlier had won Ireland’s first ever Gold medal at the European Women’s Junior Championships in Poland. Then just 15, Broadhurst had inevitably been labelled 'the next' you know who, having come from behind to pip her Russian opponent - herself a World silver medallist - 16-15 in the European junior final. Three years later, the Dundalk southpaw struck European gold again, taking the Youth featherweight title in Keszthely, Hungary, after beating Italy’s Francesca Matussciello by majority decision. This arrived a year after a controversial final defeat in the same tournament. This year, half a decade on from being visited by Katie Taylor in school, Broadhurst entered the Bray icon's former division, but was pipped by Shauna O'Keeffe in the semis (O'Keeffe was then defeated by Harrington in the final). She’ll be going to England after Elites here; as far as I know there isn’t anything for her here except full time training with no funding. Broadhurst recently appeared on RTÉ's Ireland's Fittest Family. The former Shamrock Rovers star is now one of Irish boxing's pound-for-pound hardest punchers. Recently described by Irish boxing nickname curator/creator Joe O'Neill as the 'Offaly wrecking ball', Walsh lowered the boom once more during February's National Elite finals, blasting out Bray’s Gillian Duffy in the third round to claim her first ever Irish Elite title - this just a couple of weeks after winning the under-22s. We might have seen it coming, however, given the Tullamore 21-year-old's penchant for the explosive. The Spartacus fighter destroyed Serbia's Marija Petovic in the third round of their European last 16 bout in the 69kg division last year and is renowned for her power, while not necessarily falling into the trap of over-relying on it. The former under-21 and Intermediate champion has since claimed that she has only recently started properly utilising her jab - which might be considered quite concerning for those in her division. Walsh claimed a national Novice title in 2013 with just eight months of boxing under her belt. Then just 17, she had already starred for Shamrock Rovers' senior women's team for a couple of seasons, playing predominantly as a central defender, beginning with the inaugural Women's National League in 2011.